Today I’m racing at Bendigo. The rail is out nine metres and the track is rated a soft 5. Race 1 is the Segafredo’s Bakery Heathcote 3YO Maiden Plate over 1000 metres, my ride here is DIVINE MR TYCOON who is trained by Brendan McCarthy. This colt by Written Tycoon has had three career starts. He ran second on debut at Moonee Valley before putting in a good effort at the same course and distance in the VOBIS Gold Rush. He commenced this preparation with solid effort at Mooney Valley when finishing fifth. He is a horse that makes his own luck and settles close to, or on speed. This looks to be a very competitive race but he comes into this as one of the more experienced runners with strong form. Race 7 is the Newbridge Hotel F&M BM64 Handicap over 1400 metres, my ride here is SHOOTOUTATDAWN who is trained by Wendy Kelly. This four year old mare by Bushranger has been racing consistently throughout her career. She has had 10 starts with a record of two wins and two placings. I rode her recently in an official trial at Cranbourne in preparation for her first up assignment where I felt she closed off well when asked for an effort. She has come up with an inside barrier draw and if she brings her best form will be one of the main chances in this competitive field. Today I’m racing at Sandown on the Lakeside circuit. The rail is out three metres and the track is rated a soft 6. Race 2 is the MRC Foundation Plate over 1200 metres, it’s a three year old race for maidens, my ride here is RONAN’S ROCK who is trained by the Hayes, Hayes and Dabernig team. This colt by Fastnet Rock is having his second lifetime start. I rode him in his debut at the end of last season at Caulfield where, after being moderately away from the barriers, he stumbled badly and was lucky to stay on his feet. He finished off nicely running second to Brutal, who is an early favourite for the Guineas. He has shown me that he has above average ability and although this is a very competitive field, he will have to win this as he progresses onto bigger targets throughout the Spring. Race 5 is the Ladbrokes Info Hub Handicap over 1400 metres, it’s a BM70 for fillies and mares, my ride here is DIXYVILLE who is trained by Saab Hasan. This four year old mare started her racing career in QLD before being transferred to Victoria. She has had two runs in Melbourne and although I haven’t ridden her on raceday I have ridden her in trackwork. Her first Victorian start was a pass mark when racing over 1300 metres at Sandown. She was then disappointing at her most recent effort and comes into this with two weeks between runs and can hopefully regain her best form. Race 7 is the Ladbrokes Odds Boost Handicap over 1200 metres, it’s a BM70, my ride here is ILLUMICON who is trained by Tony McEvoy. This four year old gelding by Nicconi is lightly raced and has been successful on two occasions. He won first up this preparation over 1000 metres at Sandown when ridden on-speed. His next start saw him run over the straight six at Flemington where he was beaten by less than five lengths. After watching his replay, I feel he is better suited when racing around a bend. He has drawn a wide barrier here however if he finds his best form he will be back in the winner’s circle. Today I’m racing at Caulfield. The rail is out three metres and while the track is rated in the good range there is rain forecast throughout the afternoon. If the rain arrives it will further enhance my horse’s chances. Race 2 is the MacDonald Family Handicap over 1100 metres for mares, my ride here is RILLITO who is trained by James Cummings. This six year old mare by Street Cry runs in the colours of Godolphin. She is lightly raced for her age and from her 11 starts has a record of five wins and three placings. She hasn’t finished further back than second this preparation and comes into this fourth up. She has a good record around the Caulfield circuit, carries the the minimum of 54 kilos here and is the horse to beat. Race 3 is the BM78 Pegasus Leisure Group Handicap over 1200 metres, my ride here is CARLINGFORD who is trained by Mick Sell. This five year old gelding by Magnus put in a pleasing effort last start at Moonee Valley over 1000 metres where he finished third in a strong race. He stays in the same class here and is stepping up in distance. He has drawn a favourable barrier and is a horse that tends to make his own luck and races close to the speed. If he runs up to his best form, he will be in this for a long way. Race 4 is the BM84 Nitto Denko Handicap over 1400 metres, my ride here is ARKHAM KNIGHT who is trained by John Macmillan. This five year old gelding by Reean is based in Adelaide. I have had one ride on him at the Warrnambool May carnival where I was successful on him when racing on soft ground. At his most recent run he finished second in BM90 grade at Morphettville over 1200 metres following a short freshen up. He drops back in class and goes up in distance here. From a nice barrier draw he should get an economical run and is one of the main chances. Race 5 is the Group 3 KS Environmental Vain Stakes over 1100 metres for three year old colts and geldings, my ride here is SYD’S COIN who is trained by Ken Keys. This colt by Denman won on debut when I rode him at Bendigo over the same distance. At his next start at Caulfield he wanted to do a few things wrong. He then raced over 1400 metres at Group 2 level before being spelled. I have ridden him in a recent official trial and was pleased with the way he closed off and won his heat. He is a big strong colt who I felt would take a good amount of fitness benefit from his trial. He has drawn a wide barrier and will need luck from the draw. Race 6 is the Group 3 Winslow Group Quezette Stakes over 1100 metres for three year old fillies, my ride here is WRITE ENUFF who is trained by Ken Keys. This filly by Written Tycoon is the sister of the talented galloper and now stallion, Rich Enuff. I rode her at her only career start where she was successful at the Warrnambool May carnival in the VOBIS Gold Strike over 1000 metres. Her effort was very impressive and she was subsequently spelled following that win. I rode her in a recent official trial at Cranbourne in preparation for this and feel she has taken good natural improvement from her spell and has matured nicely. This is a highly competitive, large field of fillies, however I believe she is up to this class and I’m looking forward to seeing her resume. Race 7 is the W.F.A Group 2 Sir John Monash P.B. Lawrence Stakes over 1400 metres, my ride here is HARTNELL who is trained by James Cummings. This eight year old gelding by Authorized runs in the colours of Godolphin. I have ridden him with success at the track and distance on two occasions and he has an unbeaten record at Caulfield over the 1400. We won this race last year where he was dominant in his effort. He races well first up and I would like to maintain his unblemished record here over the distance. 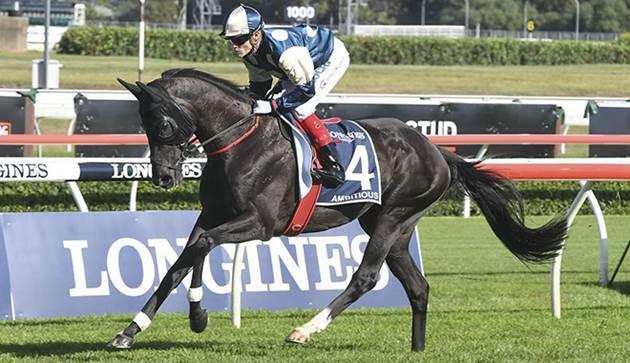 We will need luck from an outside draw, however he is one of the highest rated horses in Australia that is racing over a distance he is effective at early in his preparation, and I feel he will take a lot of beating. Race 8 is the Listed Lister Regal Roller Stakes over 1200 metres, my ride here is OSBORNE BULLS who is trained by James Cummings. This five year old gelding by Street Cry also races in the colours of Godolphin. He has a terrific record having never been out of the top three from his ten career starts and has started short in the market in all of his runs. He is an exciting galloper who usually gets back in the field before displaying an amazing amount of acceleration when put under pressure. I’m really looking forward to riding him as he is an impressive horse who I expect to win this on his way to group races throughout the Spring. Today I’m racing at Sandown on the Lakeside circuit. The track is rated a good 4 and the rail is out nine metres. Race 2 is the Ladbrokes Back Yourself Handicap over 1200 metres, it’s a BM70 for three year olds, my ride here is SMART ELISSIM who is trained by the Hayes, Hayes and Dabernig team. This gelding by Smart Missile is raced by Aquis Farm and partners. He has had one start at Sale where I was successful on him when racing on soft ground on July 12th. His performance showed me that he is a progressive horse that will go on to better races. He was very professional at Sale where he took up the running a fair way out and even though he didn’t have a horse to chase, when I asked him to quicken he produced a good amount of acceleration and won in convincing style. He stays at the same distance here and I’m looking forward to seeing him race on a firmer surface. I expect he has taken a good amount of natural improvement and with confidence from his first up victory is the horse the others have to beat. Although he only has three rivals here it will provide a good platform to see which direction he takes through the Spring as two of his rivals also look to have very good ability. Race 6 is the BM64 Le Pine Funerals Handicap over 2100 metres, my ride here is KAPUZINER who is trained by Eric Musgrove. This four year old gelding by Reset has solid three year old form. The drop back in distance here should suit him as he looked to race keenly over 2400 metres at his last start. He has drawn an inside barrier and is a horse that can be ridden close to the speed. There looks to be a good amount of pressure on paper which should help him to relax. If I get him to conserve his energy throughout the early stages he will be able to finish the race off strongly. Race 8 is the BM78 Ladbrokes Odds Boost Handicap over 1200 metres, my ride here is BUCK BAY who is trained by Darren Weir. This four year old entire by Street Cry is lightly raced having had only five lifetime starts, winning two of those for his owners Segenhoe Thoroughbreds. He has started short in the market in all of his runs so must display a good amount of ability in his track work. His only exposure to a good track was when he raced at Sandown at the end of his last preparation. He has drawn a wide barrier in this strong field and with luck from the draw can make his presence felt. Today I’m racing at Moonee Valley. The track is rated a good 4 and the rail is in the true position. I’m looking forward to starting off the new season here today after returning from a two-week holiday with my family in Europe. I was delighted with the result of the previous season in winning the riders championship. Race 2 is the 1PRINT Handicap over 1600 metres, it’s a BM84 for fillies and mares, my ride here is SPANNER HEAD who is trained by Archie Alexander. This five year old mare by Helmet has been racing consistently throughout her career. She has blinkers added to her head gear for the first time, has drawn a favourable inside barrier and comes into this race carrying 1.5 kilos above the minimum. She is horse that makes her own luck by racing in the first half of the field and this will give her every opportunity to perform well as the rail is in the true position. Race 3 is the SAJ Fruits Handicap over 1000 metres for three year old fillies, my ride here is CROSSING THE ABBEY who is trained by Tim Hughes. I rode this filly in her first two starts in the Autumn last preparation where she was successful on debut at Flemington before finishing second in the Group 3 Fillies Blue Diamond Preview at Caulfield. She has a versatile racing pattern having run well when both leading and taking a sit in behind the speed, in her first two runs. Her first up run this campaign at Flemington was an even effort and she has had eight weeks between runs. I feel she will relish the Moonee Valley circuit as she has good natural speed if she begins well. She looks well placed here on her rating and with the conditions of this race she is well handicapped and should take a lot of running down. Race 5 is the Hygain Tracktorque Handicap over 1500 metres, my ride here is ALONG CAME JONES who is trained by Symon Wilde. This five year old gelding by Lago Delight comes into this race with confidence from his last start win and is stepping up in distance. Although he has drawn a wide barrier his racing pattern is to settle in the second half of the field. If the track is racing evenly and allowing horses to make ground, I expect him to be closing off strongly in this BM70 race. Race 6 is the BM78 Mortimer Petroleum Handicap over 2500 metres, my ride here is KAWABATA who is trained by Jamie Edwards. This seven year old mare by Encosta De Lago was successful when racing at the same course and distance in October. There looks to be a good amount of speed on paper and the fast pace should suit her. I’ve had one ride on her two starts ago when she finished fourth at Sandown and I’m looking forward to seeing her step up to her preferred distance range. Although she has drawn a wide barrier it shouldn’t be too much of a disadvantage given her racing style. She has a great record at the course and distance, being undefeated. Race 7 is the Ladbrokes Cash In Handicap over 1600 metres, my ride here is MALAISE who is trained by James Cummings. This five year old gelding races in the colours of Godolphin. He has had four runs this preparation and now steps up in distance to the mile. He is a horse that has been racing in good form this preparation and I won on him two starts ago at Caulfield. Although he has drawn a tricky barrier he has a versatile racing pattern. With luck from the draw I expect him to be one of the main chances. Race 8 is the Ladbrokes Cash Out Handicap over 2040 metres, my ride here is MORTON’S FORK who is trained by James Cummings. This five year old gelding by Ad Valorem also runs in the colours of Godolphin. I won the Sandown Guineas on him as a three year old and was successful on him at the end of his last campaign at Caulfield over 1700 metres. 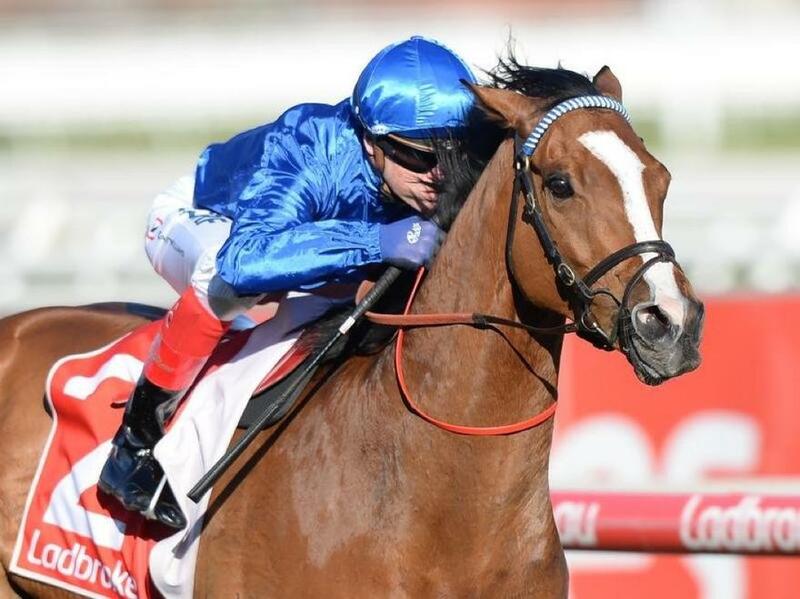 His effort was pleasing last time out at Flemington when racing over the 2000 metres for the first time, he ran extremely well from an outside barrier and was beaten by two lengths. I expect he will improve again here today at his second time over the distance. He has drawn a favourable barrier and shouldn’t have to do too much work throughout the early stages and will definitely make his presence felt in this. Race 9 is the BM84 Sheamus Mills Bloodstock Handicap over 1200 metres, my ride here is QUEEN ANNABEL who is trained by Rebecca Kelly. I was successful on this five year old mare by Bel Esprit when riding her for the first-time last start at Sandown. She now steps up in grade carrying the minimum weight of 54 kilos and will start from a favourable barrier. She won with nice authority at Sandown over the same distance and this race will provide a good test to see which direction she takes leading into the Spring. Today I’m racing at Caulfield. The track is rated a good 4 and the rail is out 11 metres. The rail was out 7 metres last meeting and I’m looking forward to walking the track. After having a successful day on Wednesday with three winners I come into this meeting 11 winners up on Damian Lane. I’ve got a strong book of rides and I’m hoping to maintain the lead and with any luck extend the margin. Race 1 is the Ladbrokes.com.au Handicap over 1200 metres for two year olds, my ride here is RONAN’S ROCK who is trained by the Hayes, Hayes and Dabernig team. I’ve ridden this colt by Fastnet Rock recently in a jumpout at Flemington in preparation for his debut run. He gave me a great feel last week and is a lovely strong colt with a great attitude. If he can replicate his jumpout effort he is going to take a lot of beating. Race 2 is the Ladbrokes Back Yourself Handicap over 1200 metres for three year old fillies, my ride here is SOUL STAR who is trained by Ciaron Maher. This filly by Hinchinbrook runs in the colours of Dream Thoroughbreds. I rode her first up last time out at Caulfield over 1100 metres where she had no luck over the concluding stages and went to the line untested. I rode her in a piece of work this week and felt she’s come through the run really well. Her rating hasn’t changed and she comes into this on the minimum. She meets a similar field of highly competitive gallopers to last time and with luck in running from an inside draw, will be hard to beat. Race 3 is the BM90 Ladbrokes Odds Boost Handicap over 1700 metres, my ride here is BLING DYNASTY who is trained by Paul Preusker. This seven year old gelding has been a model of consistency throughout his career. He is lightly raced for his age as he had a 12 month lay-off at one point. He races second up here and although he hasn’t won second up, from four attempts he’s run two placings. I’ve won on him twice in his career, he is a horse that is small in stature with a big heart and very good ability. He comes into this on the minimum weight and is stepping up in distance. This is a very competitive race but if he has luck from the draw he can be one of the main chances. Race 5 is the Ladbrokes Odds Boost Exotics Handicap over 1200 metres for mares, my ride here is RILLITO who is trained by James Cummings. This five year old mare by Street Cry is raced by Godolphin. She is lightly raced with a great record of 10 starts for five wins and two placings. Her first up run at Moonee Valley over 1000 metres saw her finishing off strongly to finish in second placing. Her next run was at the course and distance where she put in a dominant display when winning. She goes up 2.5 kilos here but if she holds the same form as her two runs this preparation, she will be winning this. Race 6 is the Ladbrokes Cash In Handicap over 2000 metres, my ride here is LEGALE who is trained by the Hayes, Hayes and Dabernig team. This gelding by Nicconi runs in the Mcanulty family colours. He is building an impressive record as he has had four career starts, winning two of those and placing on the other two occasions. I’ve ridden him at his past two starts where he won on a heavy track at Ballarat before winning again when stepping up in distance on a good surface at Sandown. He steps up to the 2000 metres for the first time and with the feel he has given me, he should relish the extra distance. He returns to racing against his own age group here and drops 5 kilos in weight relative to his last start win. He will jump from a middle barrier in a race where there looks to be a good amount of pressure on paper. If he is able to take up a good position from the barrier, he will be hard to beat. Race 7 is the Group 3 W.F.A Ladbrokes Sir John Monash Stakes over 1100 metres, my ride here is JUKEBOX who is trained by Ciaron Maher. This three year old colt by Snitzel runs in the colours of Colin McKenna. This would be a welcome tonic for his trainer and the stable if he was able to win this, as Ciaron broke his leg on Friday. 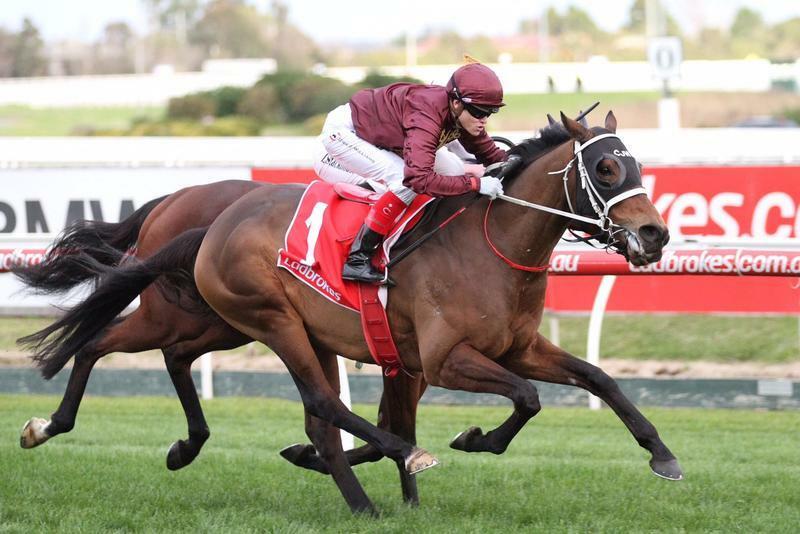 The stable has always had a high opinion of this horse and in his six career runs to date he has only missed the top three on one occasion, which was his last start in the Spring at Group 1 level where he pulled up with an issue. I’ve ridden him recently in both a jumpout and a course proper gallop at Caulfield and was pleased with the feel he gave me. He takes on the older horses here for the first time under Weight For Age conditions. He has always given me the feel of a Group 1 sprinter and if that’s the case, he should be winning this. Race 8 is the Ladbrokes Info Hub Handicap over 1400 metres, my ride here is RESERVE STREET who is trained by Ciaron Maher. This three year old gelding by Street Cry has won his past two starts on the synthetic track at Pakenham over the same distance. He’s been ridden on-speed in those races and has produced dominant performances. This is a very competitive three year old handicap field. If he doesn’t have to do too much work from a wide draw, with 54.5 kilos on his back, he will be there for a long way. Race 9 is the Ladbrokes Cash Out Handicap over 1400 metres, my ride here is MALAISE who is trained by James Cummings. This four year old gelding by Helmet runs in the colours of Godolphin. I’ve ridden him at his two runs this preparation. He was unlucky first up at Moonee Valley over 1200 metres before putting in a pleasing effort to finish second at the same course and distance that he races over here today. I felt he was going to win last time out, however after giving the winner six kilos he didn’t have the acceleration required with the 60 kilos. He drops six kilos from his last start and I expect him to show a good amount of acceleration when asked for an effort. There looks to be a good amount of pressure on paper and if the track is racing evenly, allowing horses to finish off, he is going to be hard to beat. Today I’m racing at Sale. The track is rated in the soft range and the rail is out four metres. Race 1 is the Laurels Function Centre Two-Years-Old Maiden Plate over 1200 metres, my ride here is SMART ELISSIM who is trained by the Hayes, Hayes and Dabernig team. This gelding by Smart Missile is raced by Aquis Farm and partners. I’ve seen two of his jumpouts at Flemington where, in his most recent effort he showed good natural speed and was dominant in his performance. He will jump from a middle barrier in this large field where most of the two year olds are having their first lifetime start. If he can produce his trial form here today he will be one of the main chances. Race 3 is the Khayaam Hair Salon Maiden Plate over 1415 metres, my ride here is COCHADA who is trained by Alexander Rae. This three year old gelding by Von Coasta de Hero has had two runs in his career and I’ve ridden him on both occasions. I’ve got a good opinion of this horse and he is the reason I’m riding at Sale today. His debut run at Sandown in March where he finished third by just over a length was very good and that race has proven to be a strong form reference. His next run was at Sale at the start of this month where he sat three wide and even though he felt a little bit inexperienced and new, I loved the way he finished off when put under pressure. I feel he will be winning this as he progresses on to better races throughout his campaign. He has drawn the outside barrier and will need luck in running however, I believe he is the class factor in this race and will prove to be better than his rivals. Race 4 is the WorkforceXS F&M BM70 Handicap over 1206 metres, my ride here is MISS PANDANUS who is trained by Mick Kent. This three year old filly by Street Boss won her maiden on debut when racing on heavy ground at Geelong. She was very impressive on that occasion where she settled last in running before circling the field. She found the best ground and showed a good amount of acceleration to win convincingly. She is taking on more seasoned fillies and mares here today and if she’s taken natural improvement from her first up run she should run a competitive race again. Race 5 is the Turnbull Toyota Class 1 Handicap over 1515 metres, my ride here is BEHAVE who is trained by Mick Kent. I’ve ridden this three year old filly by Sebring previously at Pakenham where she finished fourth. She then went on to win her maiden at Yarra Valley at her next start where she was ridden quietly from an outside draw, she circled the field and her effort over the 1200 metres was impressive. The stable must hold her in high regard as she has contested black-type races twice in her career to date. She is stepping up in distance here and I’m hoping this can help her regain her best form. Today I’m racing at Sandown on the Lakeside circuit. The track is rated a soft 5 and the rail is in the true position. There are six city meetings left until the end of the season. After an excellent day with six winners at Flemington on Saturday I come into this meeting nine wins clear of Damian Lane. Race 1 is the Ladbrokes Protest Payout Handicap for two year olds over 1400 metres, my ride here is SUBICAN who is trained by the Hayes, Hayes and Dabernig team. This filly by Canford Cliffs has had two lifetime starts. She has run well and was beaten by less than two lengths on both occasions. She now steps up in distance and will jump from a middle barrier in what shapes to be a very competitive race. Based on her efforts to date I expect she can make her presence felt. Race 2 is the Graeme Dare Plate, it’s a maiden race for three year olds and upwards over 1200 metres, my ride here is CATARACTA who is trained by Ciaron Maher. This three year old filly by Niagara is having her second career start. Her debut run at Sale saw her race over the same distance on a track that was rated a soft 6. She started favourite on that day and put in a very good effort when racing on-speed to be beaten by an official margin of 0.1 length. Having taken natural improvement from that run she is the one to beat. Race 3 is the BM64 Le Pine Funerals Handicap for three year olds over 1200 metres, my ride here is GOLD MAG who is trained by the Hayes, Hayes and Dabernig team. This gelding by Savabeel put in an impressive performance on debut when winning on heavy ground by 4.75 lengths. He will have taken a good amount of confidence from that win. If he has come on from that run and can bring that form here today, they won’t beat him. The Mike Moroney trained Outback Warrior was also impressive when winning at his debut run at Geelong and it will be interesting to see how the race unfolds for this large field of gallopers. Race 4 is the BM78 Mypunter.com Handicap over 2100 metres, my ride here is TUFF BICKIE who is trained by Ken Keys. This five year old gelding by Reward For Effort races second up this preparation and is stepping up to his preferred distance range. He has excellent second up form and will gain an economical run in transit from a low barrier. Provided he has taken natural improvement from his first up run, he should be competitive in this. Race 5 is the BM78 Ladbrokes Odds Boost Handicap for fillies and mares over 2100 metres, my ride here is KAWABATA who is trained by Jamie Edwards. This six year old mare by Encosta de Lago has a good record over the distance, from her three starts over the trip she has recorded two wins, with one of those being at the course and distance. She is a mare that gets back in her races and she will need the track to be racing evenly. There looks to be a good amount of pressure and speed on paper which will suit her. She has shown an affinity to racing over the longer distances with all of her career wins being over 1600 meters or further. She is deep into her preparation and will be at peak fitness for this. If you can forgive her last start failure at Ballarat which was on heavy ground and she regains her best form, she’s going to be competitive here. Race 6 is the BM70 Spicer Thoroughbreds Handicap for fillies and mares over 1600 metres, my ride here is CITRUS WISH who is trained by Bevan Laming. This five year old mare by Duke of Marmalade has been racing well and put in a pleasing effort at her most recent start at the same track when finishing third. She comes back in distance here to the mile which is in her most effective distance range. She will be fit from her recent racing and I’m looking forward to seeing how she presents pre-race. She always runs a competitive race and I expect she will put in another honest performance here. Race 7 is the BM78 Clanbrooke Racing Handicap over 1600 metres, my ride here is PENTHOUSE POET who is trained by Robbie Laing. He won his first up run this preparation at Cranbourne over 1300 metres before stepping up in distance to the mile where he put in a pleasing effort when racing over the same course. His effort when racing in BM90 grade at Flemington last time out saw him beaten by just over 6 lengths. I expect he will appreciate the drop-in grade and although he has drawn an outside barrier there looks to be a lot of pressure on paper. He is a horse that gets back in running and if the race is run to suit him, look for him to be closing off strongly over the concluding stages. Race 8 is the BM70 Ladbrokes Multiverse Handicap over 1200 metres, my ride here is QUEEN ANNABEL who is trained by Rebecca Kelly. This mare by Bel Esprit has been racing in great form recently. Her last start effort was in BM90 company at Caulfield where she was beaten by Rillito by 4 lengths. Her two runs before that saw her record back to back wins at Sale and Sandown. She drops back in grade here and looks well placed to continue her good form. With the benefit of the 2 kilo allowance for mares taking on the colts and geldings she carries a weight of 58 kilos. If she has a smooth run in transit and races kindly for me, she will be one of the main chances in this. Today I’m racing at Flemington where it’s Winter Finals Day. The track is rated a good 4 and the rail is in the true position. There are seven meetings left until the end of the season and after a good day on Wednesday I’m four wins clear of Damian Lane. We both have very good rides here today and it should prove to be a highly competitive day of racing. Race 1 is the Rivette Series Final for three year old fillies over 1600 metres, my ride here is MINTHA who is trained by Tony McEvoy. This filly by Redoute’s Choice is runs in the Huddy family colours. 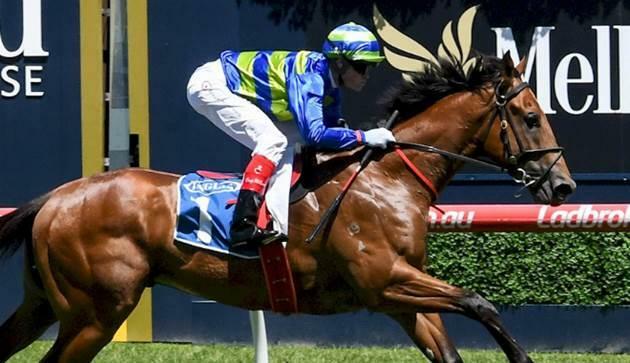 The stable feel she will be better suited on the Flemington surface on top of the ground, as she ran on a soft track last time out at Moonee Valley. She ran second on that occasion and was racing over the mile for the first time. She drops two kilos from that run and will start from an inside barrier. This is a small field, I expect she will race on-speed and I should start the day off well with a winner. Race 2 is the VRC-CRV Cup Tour Trophy over 2000 metres, my ride here is SIXTIES GROOVE who is trained by Darren Weir. This imported gelding by Sixties Icon races in the colours of Australian Bloodstock. He has had three starts in Australia and at his most recent run was narrowly defeated over 1800 metres. He comes into this on the minimum weight, has a nice barrier draw and there doesn’t look to be too much pressure on paper. If he handles the seven day back up, on his best form he is the horse to beat. Race 3 is the Leilani Series Final over 1400 metres, my ride here is MISS GUNPOWDER who is trained by the Hayes, Hayes and Dabernig team. This five year old mare by Pendragon runs in the colours of Seymour Bloodstock. I’ve ridden her previously and was successful on her in the Thousand Guineas Prelude at Caulfield as well as winning a Listed race on her at Doomben. Although she will carry the top weight of 60 kilos here and the rest of the field carries the minimum, on her rating she is better off at the weights. She will jump from an inside barrier and tends to make her own luck in running. Her last two runs have been at the course and distance in open grade and she’s finished third on both occasions. She returns to mares grade here and even with the weight, has the most superior form in this race. Race 4 is the Silver Bowl Series Final over 1600 metres for three year olds, my ride here is WOULDA THOUGHT SO who is trained by the Hayes, Hayes and Dabernig team. This gelding by So You Think seems to run his best races at Flemington. I rode him last start where he drew an outside barrier and unfortunately, he has drawn wide again today. He again meets a similar field of horses to his last start where he was less than two lengths from the winner. He comes into this carrying the minimum weight, if the track is racing evenly and he is able to finish off, he is one of the main chances in this competitive race. Race 5 is the Listed Taj Rossi Series Final over 1600 metres for two year olds, my ride here is SCOTTISH ROGUE who is trained by Tony McEvoy. This gelding by Rothesay has race experience on his side having had eight career starts where he has only missed the top three on two occasions. This is his first-time racing over the distance and his usual racing pattern is on-speed. I expect his race experience and toughness to be a big asset here that will take him a long way. Race 6 is the Banjo Paterson Series Final over 2600 metres, my ride here is FALAGO who is trained by Darren Weir. This gelding by Fastnet Rock is raced by Australian Thoroughbred Bloodstock and partners. I rode him last time out in the lead up to today’s race where he finished fifth and was beaten by just over two lengths. He steps up slightly in distance, will carry the minimum weight and meets a similar field of horses to last start. I learnt a bit about him last start and might have to try something different on him today to get the best from him. He is capable of winning this if I can get the best out of him. Race 7 is the Listed A.R. Creswick Series Final over 1200 metres for three year olds, my ride here is SUN QUAN who is trained by Mick Price. This gelding by Squamosa runs in colours of Sun Bloodstock. He has been very well placed throughout his career to date having had nine starts for three wins and four placings. 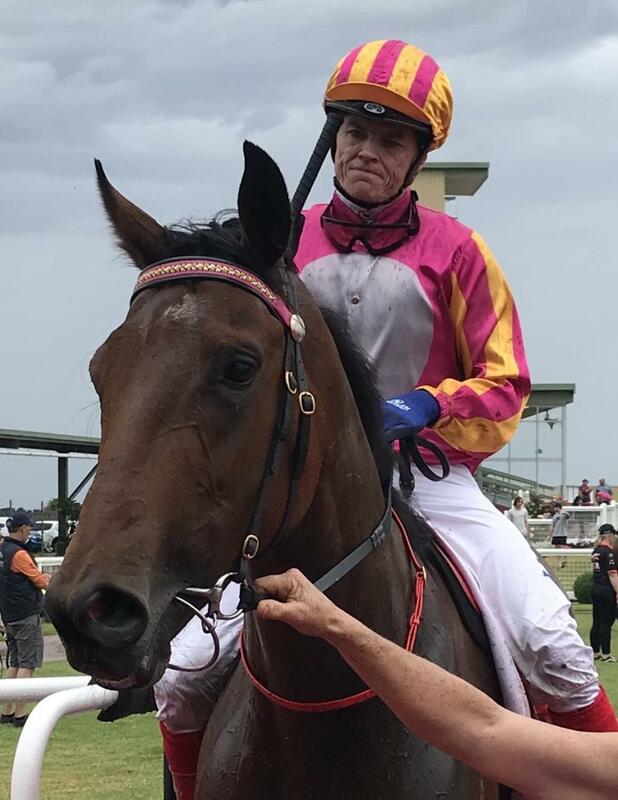 He ran very well in Listed grade last time out in Queensland where he finished second on a heavy track, the form from that race has been franked with the winner going on to win his next two starts. He is having his first look at the Flemington straight and if Nature Strip, who is the favourite in this race is not successful today, I feel my horse is as good as anything else in the race. Race 8 is the Listed VRC-CRV Winter Championship Series Final over 1600 metres, my ride here is MAGIC CONSOL who is trained by Paul Preusker. He gave me a huge thrill last time out at Moonee Valley when winning the Travis Harrison Cup. He comes into this with confidence from his last start victory and his trainer is happy with his progress. He will need luck from an outside barrier and it’s interesting to note that he hasn’t won at Flemington, yet. If track is racing evenly and he has luck in running I know he is capable to finish over the top of them. Race 9 is the Listed Seppelt Wines Victorian Sprint Series Final over 1200 metres, my ride here is CAMDUS who is trained by Darren Weir. This gelding by Street Cry runs in the colours of Waratah Thoroughbreds. He finished less than two lengths from the winner in this same race last year. He comes into this on the minimum weight with last year’s winner giving him five kilos. He resumed this preparation with a win in Adelaide and his next two runs have been very competitive without winning. If he finds his best form, he is one of the main chances. Today I’m racing at Cranbourne. The track is rated soft and the rail is in the true position. Race 1 is the TAB Multiplier Two-Years-Old Fillies Maiden Plate over 1000 metres, my ride here is AMBLEVE who is trained by the Hayes, Hayes and Dabernig team. This filly by Hinchinbrook is having her first start and is raced by Yarraman Park Stud and partners. She’s had one jumpout at Flemington where she looked to show natural speed. The majority of this field are having their first career runs and it looks to shape as a competitive race on the vision I have seen. I am looking forward to seeing her step out under raceday conditions and pressure. Race 2 is the Browns Sawdust & Shavings 3YO Fillies Maiden Plate over 1400 metres, my ride here is REAL COCO who is trained by Chris Meagher. This filly by Real Saga has had four starts and has finished in the top four placings in all of those. Her most recent start was on the synthetic track over the same distance where she ran extremely well and was beaten by an official margin of 0.4 length. She has started favourite in her last two runs and although she hasn’t won, she has been running very well. She is adaptable to all track conditions as she was exposed to a soft track two starts ago at Werribee. She has come up with a wide barrier and with luck from the draw is the horse to beat. Race 3 is the Core Protective Group Three-Years-Old Fillies Maiden Plate over 1400 metres, my ride here is TAKE CHARGE MAMA who is trained by Mick Kent. This filly by Charge Forward had her first lifetime start at Sandown last preparation where, although beaten by seven lengths, the winner was impressive and she wasn’t far from the placegetters. Her first up run this preparation was at the same course and distance where she stumbled out of the barriers and after being a long way off the speed managed to close the race off nicely. If she jumps cleanly today I expect to see a vast improvement from her. Race 6 is the Highview Accounting & Financial BM64 Handicap over 2025 metres, my ride here is RETICENT who is trained by Tony Parker. I won on this eight year old gelding by Pentire last time out at Cranbourne over 2000 metres. He meets a similar class of horse to his last start and he goes up 1.5 kilos for that victory. He has come up with a wide barrier in a race where there looks to be a good amount of pressure on paper. I feel he is a horse that doesn’t have much change up speed but can maintain a solid gallop, so the quicker they go the more it will benefit him. He has been racing well throughout his preparation and this is a race that looks winnable for him. Race 7 is the Cranbourne Hyundai Class 1 Handicap over 1300 metres, my ride here is TRUMP SHOT who is trained by Chris Meagher. This three year old gelding by Commands has been a model of consistency, he has had six starts and for a win and four placings. He won his maiden two starts ago at Pakenham on the synthetic track where he made all the running and at his most recent run, was ridden quietly from a wide barrier where he was beaten by less than a length. He is a versatile horse that runs well on all track conditions. He has drawn a wide barrier here and if he gets a favourable run in transit, I expect him to be winning. Race 9 is the AFC - Peter & Lavella DaRose BM70 Handicap over 1300 metres. The sponsors of this race are my Mother’s cousins and they also sponsor my Grandfathers race which was run at Cranbourne earlier in the year. My ride here is GATLINBURG who is trained by Chris Meagher. This gelding by Husson runs in the Waratah Thoroughbreds colours. I rode him last time out at Moonee Valley where he was beaten by 2.60 lengths. He over-raced a little bit on that day and was unable to improve his position when we needed to, so his effort was very good, all things considered. He has drawn an outside barrier in race where there looks to be good speed, which will suit him. If the track is racing evenly and allowing horses to make ground, he will be closing off strongly. Race 10 is the The Heath Agistment BM64 Handicap over 1600 metres, my ride here is SEARCH SQUAD who is trained by Doug Harrison. This seven year old gelding is by Falkirk. Throughout his career he has competed in a higher grade of races and been very competitive. He has had 55 starts with a record of 5 wins and 14 placings. He needs races run to suit him as he can over race. He has had four attempts at this distance without a top three placing. If I can get the best from him today and he finds his previous good form he is capable of winning in this grade. Today I’m racing at Sandown on the hillside circuit. The track is rated a good 4 and the rail is out fourteen metres. There are eight city meetings left in the countdown to the end of the season and I hold a two win lead over Damian Lane. He’s back riding at this meeting and I’m looking forward to the good competition. Race 2 is the Le Pine Funerals Handicap Two-Years-Old Colts and Geldings Handicap over 1000 metres, my ride here is BEN HERCULES who is trained by the Hayes, Hayes and Dabernig team. This colt by I Am Invincible has had three career starts and resumed this preparation with a win on heavy ground at Bendigo. I rode him in his two runs in his first preparation where he ran second on debut before doing a few things wrong at his next start at Group 3 level at Caulfield before being spelled. He races on a firmer surface here and will have taken a good deal of confidence from his first up victory. He stays at the same distance as his first up run and if he reproduces that effort, is the horse to beat. Race 3 is the Mypunter.com Handicap BM64 Handicap over 1800 metres, my ride here is LEGALE who is trained by the Hayes, Hayes and Dabernig team. This three year old gelding by Nicconi runs in the Mcanulty Racing colours. He is lightly raced having had three lifetime starts and hasn’t missed the top three in his runs. I rode him for the first-time last start where he was successful on heavy ground at Ballarat. He now steps up in distance, is racing against the older horses and has drawn a nice barrier. With confidence from his last start win and the feel he gave me at Ballarat I believe he can take the next step. Race 4 is the Clanbrooke Racing Handicap BM78 Handicap over 2400 metres, my ride here is VILLARDO who is trained by Matthew Smith. This four year old gelding by Jukebox Jury has been imported from Germany. Before arriving in Australia, he was successful in Germany over 2200 metres. He has had three starts in Australia and has been progressing nicely each run. The step up in distance will suit him and I expect he will produce a forward showing. Race 5 is the Ladbrokes Handicap Fillies and Mares BM70 Handicap over 1400 metres, my ride here is ALMA’S ROSSA who is trained by Matthew Williams. This mare by Testa Rossa closed off nicely last time out at the same course and distance. She looks like she has been building towards another win throughout this preparation, however, is a horse that tends to get back in her races. Hopefully if the track is racing evenly and if she doesn’t have too much work to do she is going to be very competitive. Race 6 is the Le Pine Funerals Handicap Three-Years-Old Fillies BM64 Handicap over 1300 metres, my ride here is SPEAK SOFTLY who is trained by the Hayes, Hayes and Dabernig team. This filly by Nicconi has been a model of consistency throughout her career where she has had seven starts and only missed the top three on two occasions. She won her maiden over the same distance two starts ago on the synthetic surface however has been placed on rain affected tracks previously. She’s started short in the market in most of her career runs to date and if her last start failure can be forgiven and she has luck from an outside barrier, she should be very competitive once again. Today I’m racing at Sale where the track is rated a soft 6 and the rail in the true position. Race 1 is the Laurels Function Centre Maiden Plate over 2200 metres for three year olds and upwards, my ride here is RAKOVSKY who is trained by Mick Kent. I rode this gelding by Gorky Park in his debut run on heavy ground at Bendigo over 1400 metres and finished third. He gave me a lovely feel on that day and I expect he will appreciate the step up in distance here and will be hard to beat in this. Race 2 is the Maffra Business & Tourism Association Two-Years-Old Maiden Plate over 1200 metres, my ride here is SERGEANT who is trained by James Cummings. This colt by Helmet is raced by Godolphin. He is a flashy type being chestnut in colour with plenty of white on him. He had an official trial in Sydney last year and I’ve had the benefit of watching him gallop at Moonee Valley with an older horse. He looks like a promising type based on the way he worked and handled himself at Moonee Valley and if he brings that work to the races will take a lot of beating. Race 5 is the Duarts Homestead Three-Years-Old Maiden Plate over 1400 metres, my ride here is COCHADA who is trained by Alexander Rae. This gelding by Von Costa de Hero is having his second lifetime start and is racing first up this preparation. I expected a forward showing when I rode him at Sandown in his first career start, he did a few things wrong on that day and finished in third placing beaten by 1.3 lengths. I feel he will have taken a good deal of benefit from that experience and he has had an official trial at Cranbourne leading into his return to racing. He looks to be a horse with a nice future and is the one they all have to beat. Race 9 is the Higgins Machinery & Mechanical Service MAFFRA CUP BM70 Handicap over 1717 metres, my ride here is NANGAWOOKA who is trained by Matthew Brown. This is a strong field of gallopers who are all chasing the good prize money on offer here. This gelding by Equiano will be fit from his recent racing and runs fourth up in this. He has the blinkers removed from his head gear which will help him to relax as he seemed to race a bit keenly last time out. I rode him two starts ago at Sandown where he ran well and was beaten by less than two lengths. He is a very honest horse who has had three runs at the track and distance for two placings. He races on speed and if he can relax and gets some luck from the wide barrier will be in this for a long way. Race 10 is the Ladies Day – 9th Sep. BM64 Handicap over 1000 metres, my ride here is PENALTY who is trained by James Cummings. This three year old filly by Street Cry races in the colours of Godolphin. She had three runs last preparation for a win and two fourth placings. She resumes here and has had two nice jumpouts in preparation for this. She is a quality galloper and if we have luck from an outside barrier will be winning this. Today I’m racing at Caulfield where the track is rated a good 4 and the rail is out seven metres. The count down to the end of the season and the championships is on and after a double on Wednesday I am one win in front. I hope to further extend my lead today as Damian Lane is absent from this meeting. Race 1 is the Keno Let's Play Handicap over 1200 metres for two year old, my ride here is RUBAN BLEU who is trained by the Hayes, Hayes and Dabernig team. This colt by Artie Schiller has had one start at Flemington up the straight where he finished the race off nicely, finishing in fourth place. The form from that race has been franked with the second horse winning at Flemington last Saturday. He now steps up slightly in distance and will be racing around a turn for the first time under raceday pressure. I noticed before his first up run he’d had a number of jumpouts and looked to be very versatile being ridden both on and off speed. He has come up with a middle to outside barrier draw and I will be interested to see what my instructions are pre-race. He has winkers added to his head gear for the first time and with luck from the barrier will be one of the main chances. Race 2 is the BM78 Keno Classic Handicap over 1600 metres, my ride here is SHE’S GOT SPEED who is trained by the Hayes, Hayes and Dabernig team. This mare by Speed ’n’ Power was very gallant last time out when she sat outside the leader who was the eventual winner and was beaten by an official margin of 2.45 lengths at the same distance in a fillies and mares race. This is her preferred distance range as she has won over the mile on two occasions. She will get every favour from an inside draw and will carry the minimum weight of 54 kilos. Race 4 is the Keno Kwikpik Handicap over 1100 metres for three year old fillies, my ride here is SOUL STAR who is trained by Ciaron Maher. This filly by Hinchinbrook is raced by Dream Thoroughbreds. She is resuming this preparation and recently had a jumpout at Caulfield to have her ready for this assignment. She has had two first up runs and won her maiden when racing fresh in her second preparation. She has come up with a middle barrier draw in what looks to be a strong race with a good deal of pressure on paper. I expect she can run well and make her presence felt. Race 5 is the BM90 Keno Heads or Tails Margins Handicap over 1200 metres, my ride here RILLITO who is trained by James Cummings. This mare by Street Cry is raced by Godolphin. I rode her first up at Moonee Valley where she put in a terrific effort to finish the race off strongly after being impeded on two occasions. Her second up record is very good having won twice from three attempts and she is effective over this distance. She has drawn an outside barrier, however, she is a classy mare and if the track is racing evenly I expect her to be finishing over the top of them. Race 6 is the Keno Bonus Handicap over 1800 metres, my ride here HURSLEY who is trained by Chris Waller. This gelding by Makfi wears the Qatar Racing colours. He is coming back in distance from his last start at Flemington where he ran over 2500 metres. He seems to race well at Caulfield and from his three starts over the distance has only missed the top two on one occasion. He has drawn a nice barrier and looks well placed here where he will carry the minimum weight. I expect he can make his presence felt in this very competitive race. Race 7 is the Keno Bonus HandicaKeno Replay Handicap over 1400 metres for three year olds, my ride here ELUDED who is trained by Mathew Ellerton & Simon Zahra. This gelding by Excelebration is raced by Hesket Bloodstock, managed by David Moodie. He is a horse that races on-speed or leads and dominates his races. He resumed this preparation with a solid effort in a strong race at Swan Hill where he was narrowly beaten on heavy ground. He comes into this race having taken natural improvement from his first up run and will carry half a kilo above the minimum weight. From an inside barrier, I expect he will be in this for a long way. Race 8 is the BM84 Keno Superplay Handicap over 1400 metres, my ride here MALAISE who is trained by James Cummings. This gelding by Helmet is raced by Godolphin. I rode him first up at Moonee Valley where he had no luck and put in a very good effort to finish in third placing. He now steps up in distance to the 1400 and from his five starts over the trip has only missed the top two on two occasions. He has excellent second up form, will get an economical run in transit from an inside barrier and is the horse to beat. Race 9 is the BM84 Keno Jackpots Handicap over 1200 metres, my ride here CHATUCHAK who is trained by James Cummings. 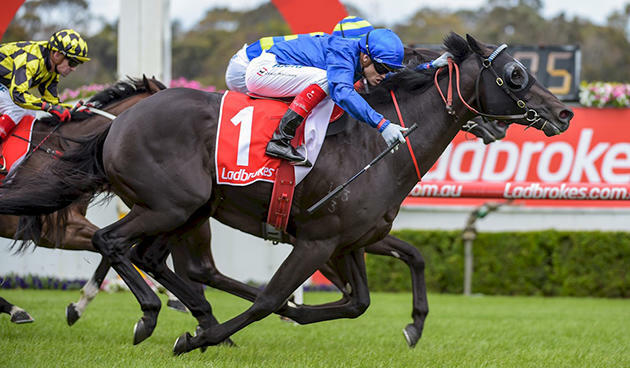 This mare by Lonhro is also raced by Godolphin. She was successful last time out at Sandown when the blinkers were applied over the same distance. Although she takes a step up in class here she comes into this with confidence from her last start victory, carries the minimum weight and will jump from a low barrier. I expect she can run well and make her presence felt in this strong race. Today I’m racing at Moonee Valley where the track is rated soft and the rail is out seven metres. Race 1 is the Big Swing Golf Handicap over 1200 metres for two year old fillies, my ride here is BRIGHT EYES who is trained by Shea Eden. This filly by Bel Esprit races in the colours of Noorilim Park Thoroughbreds and is raced by Peter Carrick and partners. At her first lifetime start she finished fourth at Swan Hill where she ran really well when faced with heavy track conditions and an outside barrier draw. She has drawn more favourably here and will have taken natural improvement from her first up run. The form from that race has been franked with the winner being very competitive at its next start. It is a small field and shapes as a very competitive race. Race 2 is the Woodside Park Stud Handicap over 1000 metres, a BM64 for three year olds, my ride here is JUNGLE QUEEN who is trained by Christopher Davis. I’ve ridden this filly by Jungle Ruler previously when finishing second on her at the start of this preparation over the same distance at Sandown. Since then she’s been very competitive racing in her own age group and against the older horses at her most recent start. She’s come up with a wide barrier draw here and if the track is evenly, as there looks to be a lot of pressure on paper, I expect her to be highly competitive and run an honest race. Race 3 is the Ladbrokes Multimaker Handicap over 2040 metres, a BM78 for fillies and mares, my ride here is ROCK AWAY who is trained by Rachael Cunningham. This is a course and distance that she enjoys and runs really well at, from her three starts at the track and trip she has only missed the top three on one occasion. She is a mare that generally settles in the second half of the field and in this race where she has drawn an outside barrier, providing there is no track bias, I expect her to be closing off strongly. Race 4 is the BM78 Banta App Handicap over 2040 metres, my ride here is HARDERN who is trained by David Brideoake. He comes into this race full of confidence following on from a last start victory at Geelong. He’s had two runs at the track and distance for a third placing and from his three career starts at the track, has run two placings. He looks well placed to continue his recent consistent form here and if he doesn’t have to do too much work from a tricky draw I expect him to be one of the main chances. Race 7 is the BM84 Sheamus Mills Bloodstock Handicap over 1000 metres, my ride here is GATLINBURG who is trained by Chris Meagher. This Husson gelding is raced by Waratah Thoroughbreds. I feel he is returning to his preferred distance of 1000 metres and if he can replicate his effort from two starts ago at Sandown that will hold him in good stead for this. He is a horse that does over race and appreciates a fast tempo so this race looks suitable for him as there is a good amount of speed on paper. He has unfortunately drawn a wide barrier and will need luck in running. If the track is racing evenly and the race is run to suit him, he will be one of the main chances. Race 8 is the BM70 Mittys Handicap over 1200 metres, my ride here is DEMOLITION who is trained by James Cummings. This gelding by Street Cry races in the colours of Godolphin. He is a lightly raced and highly talented galloper who resumed this preparation with a very good effort over the same distance at Sandown on June 6th. He races well on all track conditions and on his best form is the horse to beat. Today I’m racing at Ballarat where the track is rated a heavy 8. Race 1 is the City of Ballarat 2YO Maiden Plate over 1600 metres, my ride here is WHITEMORE who is trained by Robbie Griffiths. This colt by Statue Of Liberty is raced by Australian Thoroughbred Bloodstock. He has had four lifetime starts and has always run a competitive race. In three of his starts he has drawn wide barriers and has still put in pleasing efforts. He is stepping up to the 1600 for the first time as are the majority of runners. Again, he has drawn a wide barrier and I will be interested to see what my instructions are from the draw. Based on the good form around him, he is the horse they all have to beat, providing he handles the heavy ground. Race 2 is the Hertz Ballarat 3YO Maiden Plate over 1600 metres, my ride here is LEGALE who is trained by the Hayes, Hayes and Dabernig team. This gelding by Nicconi runs in the Mcanulty colours. He is lightly raced having had two starts, where he finished third on both occasions. He now steps up in distance to the 1600 metres for the first time and has drawn the widest barrier. If he handles the ground and has luck in running he will take a lot of beating. Race 3 is the Stamford Tyres Ballarat Maiden Plate over 1600 metres, my ride here is OCEAN WALZER who is trained by Darren Weir. This German four year old gelding by Wiener Walzer is raced by Australian Bloodstock and partners. He had one start in Germany where he finished second over 2200 metres before being imported to Australia. I rode him at his first start on Australian turf where he finished fourth at Sandown over 1400 metres. He presented in a fresh manner on that day pre-race and I feel he will have benefited greatly from the exposure to our raceday conditions. He was slow to begin then over raced during running and even though he closed the race off well, he had a tendency to hang to the right, so he is still a work in progress. He steps up in distance here which he will appreciate and I expect him to have taken a good amount of natural improvement from his first up run. This isn’t the strongest race on paper and if he handles the track conditions he won’t be beaten. Today I’m racing at Flemington. There are 11 meetings to go in the run down to the championships and I’m equal with Damian Lane. The track is rated a soft 5 and the rail is out nine metres. Race 1 is the Gippsland Region Handicap over 1400 metres, my ride here is REAL SUCCESS who is trained by Matt Laurie. This two year old gelding by Reset runs in the colours of Lucky Racing. He has had two life time starts where he won on debut over 1200 metres before stepping up in distance to 1400 where he finished third. He has been racing very consistently throughout his short career and is a horse that in his two starts to date has drawn a wide barrier on both occasions, as he has done again here today. His racing pattern is generally on-speed and if we don’t have to work too hard from an outside draw he will be there for a long way. Race 4 is the 2018 Country Achiever Quinton Scott Handicap, a BM78 over 1400 metres, my ride here is KNOWABLE who is trained by Steve Richards. This four year old gelding by Hinchinbrook has been in excellent form this preparation and his last three runs have been at this course. His most recent run was over the same distance where he got a long way back from an outside barrier draw and closed off nicely. He placed at Listed grade two starts ago and comes back in class here. He has come up with an inside barrier and is the horse they all have to beat. Race 5 is the High Country Handicap over 2520 metres, my ride here is FALAGO who is trained by Darren Weir. This gelding by Fastnet Rock is raced by Australian Thoroughbred Bloodstock. He’s been racing really well recently and is a horse with good form at the course and distance, from five runs he has a record of one win and three placings. He will carry the minimum weight and has drawn a low barrier, in what looks to be a high pressure race which will really suit him. He looks well placed here and is one of the main chances. Race 6 is the Macedon and Goldfields Handicap for three year olds over 1600 metres, my ride here is WOULDA THOUGHT SO who is trained by the Hayes, Hayes and Dabernig team. This gelding by So You Think races in the colours of Seymour Bloodstock. If you can forgive his last start effort at Moonee Valley he has excellent credentials. Although he has drawn an outside barrier he is a horse that gets back in running. This race looks to map like there will be a lot of pressure which will allow my horse to close off strongly if the track is racing evenly. Race 7 is the Brian Beattie Handicap over 1400 metres, my ride here is MORTON’S FORK who is trained by James Cummings. This gelding by Ad Valorem is raced by Godolphin. I rode him at the end of his last preparation when he won a handicap over 1700 metres. He ran extremely well first up where he was beaten less than 4.5 lengths behind Ozi Choice. He will jump from an outside barrier and remains at the same distance of 1400 metres for his second up run. I expect he will have taken a good amount of natural fitness improvement from his first up run and am looking forward to seeing how he presents in the yard. He is a quality galloper having won the Group 2 Sandown Guineas and that form is good enough to see him winning this. Race 8 is the David Bourke Provincial Plate over 1600 metres, my ride here is CARRAIG AONAIR who is trained by the Hayes, Hayes and Dabernig team. This BM90 race is restricted to horses that have had three runs in the past 12 months in the country. This four year old gelding by Fastnet Rock is raced by Australian Thoroughbred Bloodstock. I rode him last preparation and was successful on him twice. I rode him three starts ago when he was second up and I was pleased with his effort where he raced on-speed and was beaten by 2 lengths. His last run was in BM78 grade and he goes up in class but comes down in weight here and will carry the minimum. He races very well at the distance and has good overall statistics at the track. He has drawn ideally in a low barrier to get an economical run in transit and will take a lot of beating on his best form. Today I’m racing at Geelong. The track is rated a heavy 8 and the rail is out six metres. Race 1 is the bet365 Geelong 2YO Fillies Maiden Plate over 1225 metres, my ride here is NESHMIYA who is trained by Peter & Paul Snowden. This filly by Medaglia d’Oro races in the colours of Sheikh Mohammad Bin Khalifa Al Maktoum. She is extremely well bred being half sister to Pride Of Dubai who was a Group 1 winner. She has had several official trials in NSW and at a recent jumpout at Flemington she showed nice speed and was able to extend away from the field in her heat. She, as is the majority of the field, is having her first lifetime start and if she produces her trial form she will be one of the main chances. Race 2 is the Bendigo Bank – Own your own happy place Maiden Plate over 1225 metres, my ride here is COSMOLOGICAL who is trained by the Hayes, Hayes and Dabernig team. This three year old gelding by Medaglia d’Oro is raced by Gerry Harvey. He has had two preparations and placed once from his four career starts. He is resuming this preparation as a gelding and runs first up here. He has shown good versatility as he has been ridden on-speed and has also been effective when ridden quietly. I will be interested to see how he presents in the yard and what my instructions will be from a middle to outside barrier draw. Race 3 is the Lara Community Bank Maiden Plate over 1225 metres, my ride here is RIVERINA DANCER who is trained by the Hayes, Hayes and Dabernig team. This two year old filly by Kaphero is third up this preparation and has the blinkers applied for the first time. She is a horse that has shown good natural speed in previous runs and if we don’t have to work too hard from an outside barrier and she handles the track conditions, she can run a competitive race against this strong field. Race 7 is the Bendigo Bank – Commercial and Equipment Finance Rivette Series Heat 4 over 1425 metres, it’s a BM64 for three year old fillies, my ride here is DIAMOND BOW who is trained by Wendy Kelly. I’ve ridden her in her past four starts, she has had a freshen up following on from her most recent effort at Caulfield on April 28thwhere she finished fourth. She was racing over the mile for the first time on that day and raced extremely well considering she did a few things wrong. She comes into this race dropping back in distance with the blinkers on for the first time. She has unfortunately drawn an outside barrier and as she usually gets back in her races will need some luck. She is the best credentialed horse in this race and provided the track is playing fairly, she will be winning this. Race 8 is the Bendigo Bank Cup F&M BM64 Handicap over 1225 metres, my ride here is WIRED who is trained by Anthony Freedman. This three year old filly by Sharkbite runs in the colours of Pinecliff Racing. She has had three runs this preparation and two starts ago she finished third when racing on heavy ground. She has come up with an inside barrier draw in a race where there looks to be good speed on paper, from the draw she should get an economical run in transit and she looks to be one of the main chances. She will have the blinkers removed again from her headgear. Race 9 is the Bet365 Geelong BM70 Handicap over 1525 metres, my ride here is SEARCH SQUAD who is trained by Doug Harrison. His form on heavy ground is excellent as he has had one start for one win. Although he has drawn an outside barrier this doesn’t look to be a disadvantage for his racing pattern as he is a horse that gets backs and when he starts to travel this will allow me to build his momentum up. He can over race so if there is a solid tempo and they run along and he can relax for the first half I expect him to be strong late. Race 10 is the Bet 365 BM64 Handicap over 1733 metres, my ride here is HIGH SIERRA who is trained by Luke Oliver. This four year old mare by Redwood is raced by Grand Syndicates. I rode her last time out and was pleased with her performance on testing ground. I expect her to have improved from that run, be suited by the step up in distance here and feel from a favourable barrier draw she will take a lot of beating if she maintains her good form. Today I’m racing at Bendigo. The track is rated a heavy 9 with rain forecast throughout the afternoon and the rail is out nine metres. Race 3 is the “Thanks Kenny Keating” Maiden Plate over 1400 metres, my ride here is RAKOVSKY who is trained by Michael Kent. This four year old gelding by Gorky Park is having his first lifetime start and has not been sighted at the official trials. It usually is a question mark when a horse is having his debut run on heavy ground over 1400 metres, however, history has shown that Mick Kent is one of the trainers that conditions, prepares and places his horses so they are ready to win first time out. I hope this is the case here today and he can get the job done. I am looking forward to seeing him for the first time pre-race and will be interested to see how he presents in the yard. Race 9 is the Mosstrooper Steeplechase Raceday 22 July BM64 Handicap over 1600 metres, my ride here is BIRDS OF TOKYO who is trained by Luke Oliver. This mare by Nicconi hasn’t been racing up to her best form of late but she is a superior wet tracker and the conditions will favour her here today. She is racing at a distance where she has raced four times and only missed the top three on one occasion. If she can regain her best form she will be competitive. Today I’m racing at Moonee Valley. The track is rated soft and the rail is out four metres after racing in the true position two weeks ago. With 12 meetings left until the end of the season in the run down to the championships, I am one winner behind Damian Lane. He is suspended today so hopefully I can get ahead of him after today’s race meeting. Race 2 is the Friends of Epworth Plate over 1600 metres, a BM84 for fillies and mares, my ride here is ROCK AWAY who is trained by Rachael Cunningham. This six year old mare by Elvstroem races first up here. She has won first up previously and her statistics over the distance are good having had eight starts for two wins and a second placing. At the track and distance, she has had three starts for a win and second placing and her overall form at the track is very good. She will carry the minimum weight and her recent racing pattern of getting back means she will need the track to be racing evenly and the race run to allow her to finish off. Race 4 is the Silver Thomas Hanley Plate, a BM78 over 1200 metres, my ride here is MOONLITES CHOICE who is trained by Darren Weir. This mare by Bushranger is raced by John Richards. She is a horse that I rode at the end of her three year old season where I had three rides on her for a win, a second and a fifth. She then had a long break and I rode her first up this preparation when she raced at the same course and distance on June 2nd. I was impressed with her appearance and felt she had matured and furnished from her three year old year. She competed very well on that day, although she was a little bit fresh she raced extremely well. She has come up with the outside barrier draw here and will need some luck. If this race is run to suit her and she has some luck, she will be winning. Race 5 is the Catanach’s Jewellers Plate, a handicap over 1200 metres, my ride here is MALAISE who is trained by James Cummings. This gelding Helmet is raced by Godolphin. He races first up here and although he hasn’t won when resuming previously he has run well and placed at his three attempts. He has previous exposure to the course and distance and I have ridden him once when finishing second at Sandown last year. From a favourable barrier draw in what is a small but competitive field, on his best form I expect him to be finishing the race off strongly and he can run well, if the track is racing evenly. Race 6 is the Epi Café Plate, a BM84 handicap over 1000 metres for mares, my ride here is RILLITO who is trained by James Cummings. This five year old mare by Street Cry is also raced by Godolphin. I have had one ride on her for a win at this track when she was a three year old. She is resuming here and her first up record is excellent as she has only been out of the top three on one occasion. She has had two official trials in Sydney to have her ready for this where she trialled extremely well both times. Although she has drawn an outside barrier I expect her to be closing off strongly, if the track is racing with no bias and allowing horses to get back and finish off, then she will be winning this. Race 8 is the GJK Facility Services Plate, a handicap over 2040 metres, my ride here is RAW IMPULSE who is trained by Darren Weir. This galloper by Makfi, is raced by Australian Bloodstock. He has excellent statistics on soft ground as he has won or placed at half of his starts. He has been building progressively towards his preferred distance and reaches that range, racing fifth up here. He looks well placed here in this very competitive race where he will carry one kilo above the minimum and I expect him to be one of the main chances. Race 9 is the Bidfood Travis Harrison Cup, a handicap over 1600 metres, my ride here is MAGIC CONSOL who is trained by Paul Preusker. This is a very special race to myself and my family as it is named in honour of my cousin, the late Travis Harrison. Magic Consol is the horse I rode in this race last year and we were denied victory by a nose. It would be great to go one placing better this year and he looks to be building towards that. His trainer is very confident with the way the horse has come through his recent racing and his only concern would be if the track were to become rain affected throughout the afternoon. It would be great to win this race and I feel he is the right horse and this race profiles well for him. He comes in on the minimum weight, in good form and will jump from a nice barrier draw with the ground the only concern if it were to rain. No doubt we will have the heavens on our side and it would be a big thrill to win the race in honour of Travis. Today I’m racing at Sale. The track is rated soft and the rail is in the true position. Race 3 is the Laurels Function Centre 2YO Maiden Plate over 1200 metres, my ride here is JARMANAGIC who is trained by Danny O'Brien. This gelding by Starspangledbanner has raced against Group 1 winners in his previous campaigns. He is an experienced two year old as he is now resuming his third preparation. He has jumped out well at Flemington in preparation for his first up run and from a nice middle barrier draw he looks the horse to beat. Race 4 is the TRFM Silver Bowl Series Heat 3, a BM64 for three year olds over 1500 metres, my ride here is GALAPAGOS who is trained by James Cummings. This gelding by Teofilo is raced by Godolphin. He was successful on debut where he put in a dominant display at Geelong over 1200 metres in an open maiden. He now steps up in distance with the experience and confidence from his first up win and is back to racing against his own age group. Although he is the least experienced horse in this field of seven he looks to be a horse that will progress through his grades based on his first start performance. Today I’m racing at Sandown on the Hillside circuit. The track is rated good and the rail is out seven metres. I’m looking forward to walking the track given the rain that has fallen this week. Race 1 is the Le Pine Funerals Handicap for two year old fillies over 1000 metres, my ride here is KOBE PRINCESS who is trained by Luke Oliver. This filly by Reward For Effort has had three starts and has not missed a placing. I rode her at her most recent start at the same track and distance where she closed the race off strongly and was beaten by less than a length. The horse that finished in fourth placing on that day has since won, putting in a dominant display at Sale. The have spaced her runs and she comes into this some four weeks between starts. She performed so well at this track and distance last time, if the track is racing evenly and there is no disadvantage to being out wider, which is usually the case in the 1000 metres races here, then she will be the horse to beat. Race 2 is the Sheen Group Handicap, an open maiden over 1400 metres, my ride here is OCEAN WALZER who is trained by Darren Weir. This four year old imported gelding is by Wiener Walzer and races in the colours of Australian Bloodstock. He has had just the one start at Cologne where he finished second when racing over 2200 metres. He is having his first Australian start here and although I haven’t ridden him, I watched him have an official trial at Werribee recently where he performed well. He has come up with an inside barrier draw and is a horse who will no doubt improve further when he steps up in distance but I expect he can make his presence felt as he looks to be a gelding of high quality. Race 5 is the Polytrack Handicap, a BM70 over 1000 metres, my ride here is FLASH CASH who is trained by Matt Laurie. This three year old gelding by Pluck has been very consistent throughout his 11 lifetime starts with a record of two wins and six placings. He started this preparation off in good style with a win on the Pakenham synthetic track, he then went to Sale and closed off well to finish in second place behind Parwan Prince who was dominant when racing on speed. His racing style is to settle mid field and from a nice barrier draw I’m hoping for a little bit of luck for him to show his great acceleration and continue his good record. He looks well placed in this class of race and will be one of the main chances. Race 6 is the Clanbrooke Racing Handicap, a BM70 over 1600 metres, my ride here is WINKELMANNwho is trained by Danny O'Brien. This four year old mare by Rip Van Winkle has one of the best form references in this race, if you can forgive her last start. She has had nine runs at the distance and has finished in the top three at more than half of those. She has had three runs at the track and has won here previously. If she regains her normal form she will give herself every chance from a favourable barrier and will be hard to run down. Race 7 is the Moorookyle Park Handicap, a BM70 race for mares over 1400 metres, my ride here is MISS ADEQUATE who is trained by Danny O'Brien. This mare by O’Reilly races second up here and of her three second up runs has only missed the top three on one occasion. She has had four runs at the distance and although she hasn’t won over the distance, she has placed three times. She is mare that races on speed and with natural fitness improvement from her first up run and stepping up slightly in distance, she should be more comfortable and can make her own luck racing close to the speed. If she has a nice run in transit she will take a lot of beating. Today I’m racing at Mornington where it's a city meeting on the Queen’s Birthday. The metropolitan status of this meeting means it’s included in the race for the championships. The track is rated soft and the rail is in the true position. Race 2 is the Steller.com.au Plate over 1600 metres, a maiden for fillies and mares, my ride here is RED JEWEL GIRL who is trained by Mick Kent. 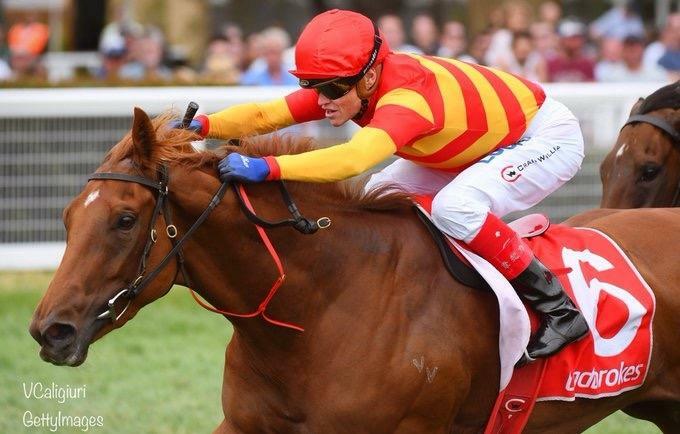 This four year old mare by Red Giant is having her first lifetime start and has had an official trial at Cranbourne on May 21stin preparation for this. She has come up with a nice middle barrier and I will be interested to see how she parades pre-race and performs under raceday pressure. Race 3 is the Luke Duhig Memorial Plate, a three year old maiden over 1200 metres, my ride here is CREATIVE HARMONY who is trained by John Sadler. This gelding by Denman is raced by David Yu. I rode him last start at Warrnambool over 1700 where he had the blinkers on for the first time, he made all the running and weakened in the straight. He has now had a freshen up and comes back in distance. If he can find his best form he can be competitive in this. Race 4 is the Handyman Steel Supplies Plate, a three year old maiden over 1200 metres, my ride here is EDMONIA who is trained by Clive Balfour. This filly by Statue Of Liberty is having her first lifetime start here. I have ridden her previously in an official trial at Cranbourne where I felt she would take a good amount of benefit from the trip away from her home track of Mornington and would have benefited from the experience of being in amongst a group of horses. It’s been some five weeks since her official trial and hopefully she has come on from that experience and has luck from an outside barrier draw here today. Race 5 is the Anchor Point Engineering Handicap, a BM64 for three year old fillies over 1200 metres, my ride here is RIVERINA ROMANCE who is trained by the Hayes, Hayes and Dabernig team. This filly by Equiano has had two runs at the track for win and a second, she won her maiden at this track over 1000 metres. This preparation she has been racing well and steps up to the 1200 for the first time this campaign. She has come up with an outside draw and is a horse that races on speed. If the track were to become affected by rain throughout the afternoon it would further enhance her chances as she has been previously exposed to a heavy track when finishing second. Race 6 is the Hoad Construction Handicap, a BM64 over 1600 metres, my ride here is MEOWIE WOWIE who is trained by Rob Blacker. This six year old mare by Globetrotter has the advantage of being trained on track at Mornington. I have been encouraged by watching the replays of her recent starts. She is a horse that, from the draw, might have to go back but if the track is racing evenly and the race is run to suit her I expect her to be right there in the finish. Race 7 is the Clanbrooke Racing Handicap, a BM64 over 2000 metres, my ride here is RETICENT who is trained by Tony Parker. This grey gelding by Pentire is reaching his preferred distance range with good form over the distance. He has previously raced at the course and distance when finishing second. He looks like he has been building throughout his preparation towards this and looks well placed here. With a good amount of pressure in this race it should suit him and I expect him to settle in the first five or six throughout the early stages and be one of the main chances. Today I’m racing at Doomben. The track is rated soft and the rail is in the true position. There has been two weeks between meetings on this track leading into their feature raceday for the year and the club has been working tirelessly to ensure the track is in great order and races fairly. Race 1 is the Listed Makers Mark Hinkler Handicap over 1200 metres, my ride here is STELLA OMBRA who is trained by Kelly Schweida. This gelding by Dane Shadow races second up here and although he has never won second up he has finished third on two occasions. His first up effort was pleasing where he was ridden back and closed the race off nicely. He has come up with an outside barrier draw here and I will be interested to see what my instructions are pre-race. They could adopt his normal racing style which is to go forward and hopefully get some luck or they might ask me to ride him back as he raced well when ridden in that manner last time out. He comes into this race on the minimum weight and will need luck from the draw. Race 2 is the Listed Radiotab The Wayne Wilson over 1600 metres, my ride here is COLDSTONE who is trained by Mick Kent. This gelding by Gold Away has had two runs in Brisbane at the same course and distance where I’ve ridden him on both occasions. He drew inside gates on those occasions and got a nice run behind the speed and in both races he was beaten by less than two lengths. His most recent start was under W.F.A conditions and he drops back to set weights and penalties here which are more favourable seeing him carry 56.5 kilos. He has come up with an outside barrier and with good natural gate speed and the addition of blinkers for the first time, with luck from the draw I expect he will be one of the main chances. Race 4 is the Group 2 Pages Event Hire Brisbane Cup over 2200 metres, my ride here is AMBITIOUS who is trained by Anthony Freedman. I’ve ridden this six year old entire by Deep Impact in his last three runs and he has had four starts in Australia since arriving from Japan. He came into the races last start with a different racing style as he had been aggressive when racing in NSW and he was unable to hold a position last time out. He got back in the field at Doomben and raced extremely well, I feel if he had clear galloping room the whole way up the straight he would have gone close to winning under W.F.A conditions. He is now stepping up in distance and returns to racing under handicap conditions where, as the highest rated horse will carry the most weight. I feel he is potential Caulfield Cup horse based on his last run and if that is the case, he will be winning this. 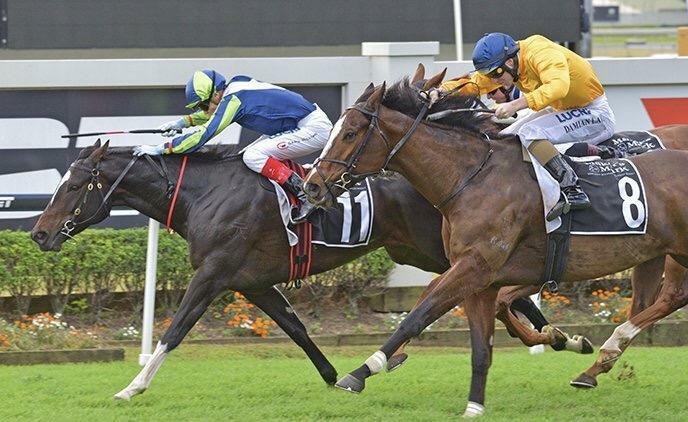 Race 5 is the feature event of the QLD racing calendar, the Group 1 UBET Stradbroke Handicap over 1350 metres, my ride here is SPIETH who is trained by the Hayes, Hayes and Dabernig team. This Thorn Park entire is raced by Aquis Farm and partners. He has had one start for his new trainers where I rode him at the same course over 1200 metres at W.F.A conditions. He was beaten by less than two lengths on that occasion and I was pleased with the way he closed the race off. He had a setback following that run however the stable are pleased with his progression and he finds himself racing in this feature Group 1 handicap. Although his usual racing pattern is to settle in the second half of the field, we will need luck in running from an outside barrier draw. I expect him to have taken natural improvement from his first up run and if that’s the case, dropping 5 kilos from W.F.A to handicap conditions, with luck in running and the track racing fairly, he will be one of the main chances to win his first Group 1 race as he has been close on a couple of occasions. Race 6 is the Group 1 Jaguar Land Rover J.J. Atkins Plate over 1600 metres for two year olds, my ride here is FUNDAMENTALIST who is trained by the Hayes, Hayes and Dabernig team. This filly by Not A Single Doubt races in the Aquis Farm colours. She has had five starts and hasn’t missed the top two placings. She has been getting back in her races and closing off solidly. This will be the first time she has been placed under race pressure this way of going however, she has had the benefit of a recent official trial in Sydney to help her, where she trialled nicely. She has drawn a middle barrier and if she isn’t given too much work to do and the track is racing evenly I can see her winning this Group 1 contest. Today I’m racing at Sandown on the Lakeside circuit with the shorter of the two straights. The rail is out 9 metres and the track is rated good. Race 1 is the Clanbrooke Racing Handicap over 1400 metres, my ride here is MANNZA who is trained by Jamie Edwards. This two year old gelding by Fiorente is having his first life time start and had an official trial at Werribee last Monday where he put in a solid effort. He has drawn an outside barrier and will need luck from the draw. It’s a positive sign that his trainer has chosen to start his career off in the city over 1400 metres and indicates that the stable must have a good opinion of him. Race 3 is the Ladbrokes Back Yourself Handicap BM64 over 1400 metres, my ride here is NANGAWOOKA who is trained by Matthew Brown. This five year old gelding by Equiano races second up here. Although he has no prior second up form, his overall form has been solid and he has been racing consistently. He has come up with an inside barrier which is an advantage to him as he tends to settle on-speed. This is a competitive benchmark race but on his best form he can make his presence felt. Race 5 is the Dream Thoroughbreds Handicap BM70 over 1200 metres, my ride here is COMRADE NED who is trained by Peter Smith. This five year old gelding by Soldier’s Tale races third up this preparation and is racing over his preferred distance of 1200 metres with his four wins having been over this distance. His two runs this preparation have been solid and he was beaten by less than two lengths last time out where he had limited galloping room over the concluding stages. His form last preparation when racing on the Lakeside circuit was good where he ran fourth before going on to win at Caulfield beating the talented Bord de Gain. From an inside barrier, he is likely to settle in the first half of the field and this looks a winnable race for him. Race 6 is the Clanbrooke Racing Handicap BM70 for three year old fillies over 1200 metres, my ride here is MAGNESIUM ROSE who is trained by Matthew Lindsay. This filly by Magnus is lightly raced has been racing consistently throughout her career to date. She resumed this preparation first up on heavy ground where she put in a pleasing effort after being slow out of the gates. Although she has drawn an outside barrier, with luck from the draw and on her best form she will take a lot of beating in this very competitive race. Race 8 is the Ladbrokes Odds Boost Handicap over BM78 1600 metres, my ride here is SPEARHEAD who is trained by Saab Hasan. This five year old gelding by Turffontein has been racing competitively this campaign since he started racing on-speed. He comes into this with race fitness on his side and on the minimum weight of 54 kilos. He too has drawn an outside barrier, in a race where there looks to be a bit of pressure I will have to work closely with him to make sure he can conserve his energy in the first half of the race and can run out the mile solidly. If all goes to plan and he can conserve his energy, he will be in this for a long way.